Greenwich Village Comedy Club owner Al Martin, who also owns and operates Broadway Comedy Club and New York Comedy Club, told Back Stage that his 60-seat space is scheduled to open "on or about" July 13 at 99 MacDougal St. "I always call it the Bourbon Street of Manhattan," Martin said of the location. "I love that block. It brings me back to when I was young and I used to go out to coffee shops and have falafel, then go to a jazz club or a comedy show." "It's going to be a comedy gym for guys that might be working on new material or a 5-minute TV set, and then it's also a place where young guys can really develop their act," Chafin said of the club. While any shows starting after 9 p.m. will feature only professional comedians, there will be at least three or four shows each week for fresh faces. An open-mic night will take place every Monday, with a new-talent show Fridays at 6 p.m. and Chafin's weekly "Comedy Thunderdome" competition every Saturday. Martin hopes to foster a community of comics among his three venues. 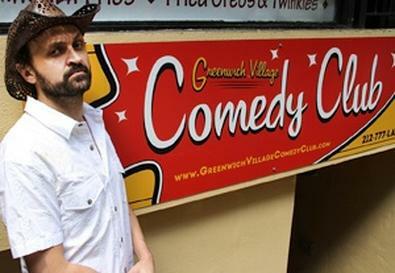 The best young performers at Greenwich Village Comedy Club, for example, may be given a developmental spot at Broadway or New York, creating synergy between the clubs and offering up-and-coming comedians more opportunities for stage time. "I think it will be great for new talent," he said. A few subway stops north of the Village, the new restaurant and comedy club the Stand is scheduled to open at 239 Third Ave. by late July. Co-owners Patrick Milligan, David Kimowitz, and brothers Cris and Paul Italia are also partners at Cringe Humor, which has promoted, managed, and produced projects for comedians for more than a decade. The Stand is their first venue. "It made more sense to have a place that we could call home and to have total control of the shows that we put on, which we always strived for in the past," Paul Italia said. Although the ongoing schedule is in the planning stages, Bill Burr, Artie Lange, Jim Norton, Dante Nero, Robert Kelly, and Judah Friedlander are among the comics who have pledged their allegiance to the Stand. The club also promises to be a home for both up-and-coming comics and established headliners and will not be limited to the Cringe Humor roster. "We want to develop new talent," Kimowitz said. "Being a part of the comedy scene for the past 10 years, we've always been very focused on who's going to be the next great talent coming out of New York, and that's something we certainly want to make sure happens through the Stand." Unlike Greenwich Village Comedy Club, which will operate with a traditional two-drink minimum and cover charge, the Stand's owners are taking a risk by eliminating the beverage minimum. Instead, they hope their cocktails and small plates in the 100-seat downstairs showroom will be too tempting to ignore; the 60-seat upstairs restaurant, with a menu by chef Seth Levine (Sons of Essex, Wine & Roses), will bring in foodies before, during, and after shows. Both clubs intend to honor the history and tradition of New York comedy in their new spaces. Chafin looks back to icons such as Lenny Bruce and George Carlin, who began their careers in the Village. The Stand's co-owners, meanwhile, decided to memorialize one of their own above the front door: The late standup comic Mike DeStefano, whose one-person show "A Cherry Tree in the Bronx" was being produced by Cringe Humor when he died of a heart attack last March, is featured in profiled silhouette on the club's sign. "What Mike represented to us was the pinnacle of what an authentic comedian should be, and also what New York comedy is about," Cris Italia said. "What better way to honor him and his family than making him part of our logo, so he'll always be with us?"